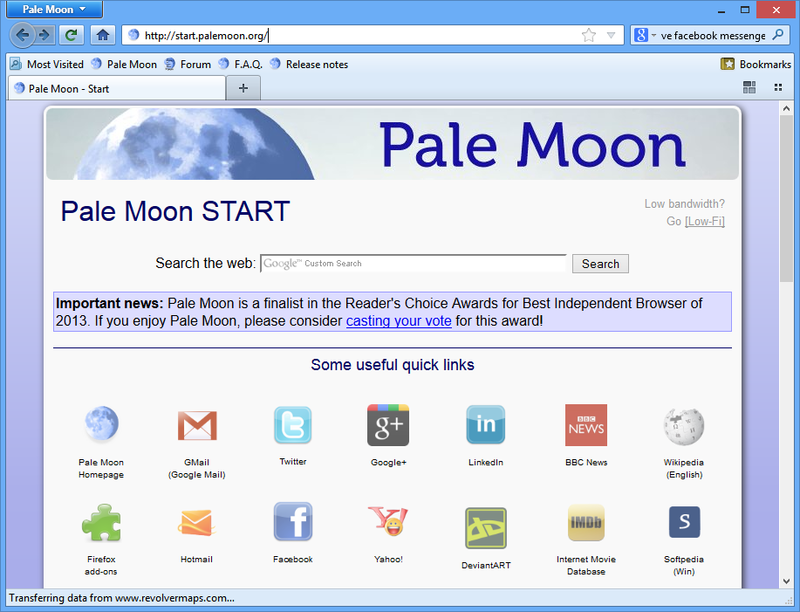 Pale Moon is a customised version of Firefox, which has been carefully optimised for speed and efficiency. The program has been made more lightweight, for instance, by stripping out little-used components like the accessibility features, and the parental controls. The crash report has also been stripped out, as it's designed to work with server-side technology that isn't available on palemoon.org. And Pale Moon also drops support for Internet Explorer's ActiveX and ActiveX scripting technology, which also offers a security benefit as it means the browser can't be infected by malicious ActiveX controls. Other optimisations are more technical. In particular, Firefox is compiled with the most conservative of settings, to ensure that it'll run on even ancient CPUs. Pale Moon, though, is optimised to take full advantage of modern processors, and this can give it a huge advantage over Firefox in some areas. So how much faster can the browser be? That's a tricky question, as performance varies greatly depending on what's being tested. The browser does have one potential down side, in that it may be incompatible with some extensions. If they've assumed that the browser's program name is firefox.exe, say, or they're using components that Pale Moon has stripped out, like the Parental Controls, then you'll probably find they don't work. This is rare, though - more extensions install and run just fine. Trying out Pale Moon also gets you access to useful extras, like the Language Packs (you can now run the program in more than 70 languages), a portable edition, and a 64-bit version. And as you can install and run both Pale Moon and Firefox together on the same system, the program is really easy to evaluate. So if any of this sounds right for you, then give Pale Moon a try, and see how much faster it might be on your system. Pale Moon 28.4.1 is a minor upgrade. For a detailed list of changes, refer to the release notes. Proving that open source leads to great development, Pale Moon takes the already decent Firefox web browser and makes it even better and a faster. Been using firefox for many years now, so thought i would give palemoon a go i am impressed i will be using palemoon from now on. An awesome browser....that really feels faster than firefox. Considering most programs have an installer and a portable version available...is it okay if the portable version is used in a PC or is there any problems that arise especcially when we want to update it? I found this program after Firefox Nightly updated to v7.0a. Being the brand new alpha it is a bit unstable as expected. I like my 64-bit browsers and Pale Moon x64 filled the gap nicely. Being based on FF4, it is also very stable and nearly all of my many addons work so Pale Moon x64 is my preferred browser now. And inside the ZIP we see..
No installer? For a browser in 2011?? LAME. You've lost 99% of potential users right there. The main download ships with an installer, but the portable version does not.